Fifteen Years in the Making | Pelican Playhouse Inc. This Fall, the Pelican Playhouse will be celebrating its fifteenth anniversary. Wow! Who knew that back in 1974, as a graduating senior from Miami Springs Senior High, with a wish for a community theater in Miami Springs, the PELICAN PLAYHOUSE would be the answer to my dream. And it is, by far, better than I could have imagined. How do you create such a success? You start with a terrific Artistic Director, Ralph Wakefield. With a huge heart, positive outlook, and engaging personality, he leads by example and with enthusiasm. You add in a mix of board members with diverse talents, working quietly in the background, to encourage, mentor, and give excellent advice over and over again. 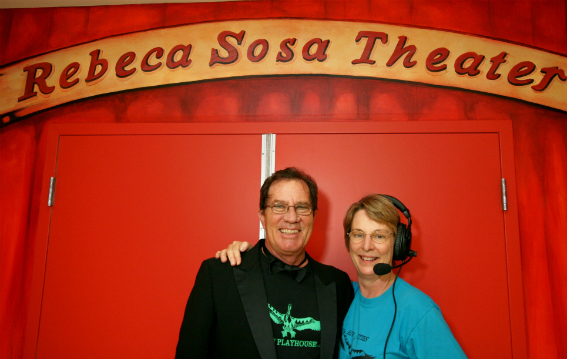 Now throw in the world’s BEST volunteers to help with everything from the front end (box office, photography, gala events, organizing refreshments), to the tech booth (lights, sound, special effects), to the sets, costumes, and props. And, finally, student actors and actresses who are talented and hardworking, from all stages of life – 5 years old to senior adults. I salute everyone who has crossed the threshold into the theater, grown with us from 1999, and who continues to be a part of the Playhouse in this wonderful theater in Miami Springs. The Pelican Playhouse: Dramatically enriching since 1999! See you at the Celebration in 2015. More details to follow!